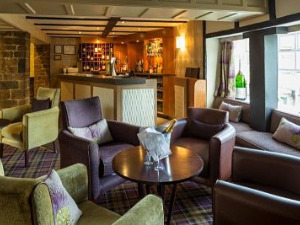 Best Western PLUS Wroxton House Hotel HotelCharming 17th century thatched manor house converted into a traditional hotel, set in the unspoilt thatched Cotswold village of Wroxton only three miles from Banbury. Convenient for Stratford-upon-Avon, Oxford and Warwick Castle. Easy access to the M40 junction 11. All modern comforts, as well as conference facilities, civil wedding licence, a charming bar and AA rosette award winning restaurant full of character. Ample free coach parking. An ideal base for touring the Heart of England and the Cotswolds. Three miles north of Banbury on A422, Stratford-upon-Avon road.